On 23 May 1844 a young merchant in the Iranian city of Shiraz made an extraordinary announcement to a guest he’d met earlier in the day at the city gate. The young merchant was Siyyid ‘Alí Muhammad, who took the title of the Báb – meaning “Gate” in Arabic. The Báb announced that He was the Herald of a new Revelation from God, to be delivered by an upcoming new Divine Educator. He referred to this Promised One as “Him Whom God shall make manifest”. Tens of thousands of people joined the Báb’s movement and were known as Bábís. The religious upheaval surrounding the Báb frightened the Islamic religious authorities. At their urging the Báb was arrested in 1845. After being released for a time – during which His popularity again increased – and then arrested again, the Báb was eventually tried and sentenced to death. The Báb was executed by firing squad in the town square of Tabríz, in Persia’s far northwest on 9 July 1850. Some 20,000 of His followers were subsequently killed in a series of brutal massacres throughout Persia. These words by Edward Granville Browne, a Cambridge University scholar who came into the presence of Bahá’u’lláh in 1890, offer a glimpse of the impact that Bahá’u’lláh had during His lifetime on those who came into contact with Him. Bahá’u’lláh – an Arabic title meaning “the Glory of God” – was born into a noble family in the Persian capital of Tehran on 12 November 1817. He became one of the Báb’s leading adherents. After the martyrdom of the Báb, growing numbers of Bábís turned to Him for guidance. Following an abortive attempt on the life of the Sháh in August 1852, by a small group of Bábís acting against Bahá’u’lláh’s explicit instructions, Bahá’u’lláh was arrested and thrown into a noisome subterranean dungeon in Tehran, known as the Síyáh-Chál, the Black Pit. During four months chained to the floor in this hellish place, Bahá’u’lláh experienced a revelation from God and received His mission as the Promised One foretold by the Báb. Expelled from Persia in January 1853, Bahá’u’lláh and His family travelled through a bitter cold winter to Baghdad, where He began a succession of exiles, which took Him via Constantinople and Adrianople to the ancient city of Acre in the Holy Land. He arrived here in August 1868. Just before leaving Baghdad in 1863, Bahá’u’lláh declared to a few of His closest companions that He was the One promised by the Báb. From Adrianople and Acre He addressed an unprecedented series of letters to the rulers of His day, proclaiming His mission and the coming unification of humankind, calling on them to devote their energies to the establishment of universal peace. 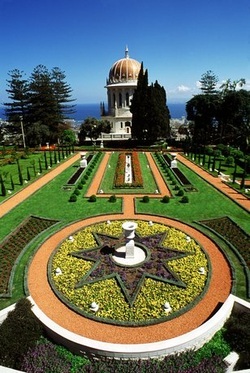 Bahá’u’lláh spent the remainder of His earthly life in Acre and its environs. Initially He, His family and companions were confined to the barracks in Acre. Later they were moved to a cramped house within the city's walls. During His time in Acre, Bahá’u’lláh revealed His most important work, the Kitáb-i-Aqdas, the Most Holy Book, the repository of laws for the Bahá’í dispensation. Bahá’u’lláh took up residence outside the walls of Acre in the late 1870s. From 1879 to His passing in 1892 He lived in the mansion of Bahjí on the outskirst of Acre. 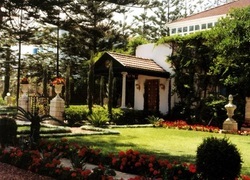 He is laid to rest in a garden room adjoining the mansion. For Bahá’ís this is the holiest place on the planet. 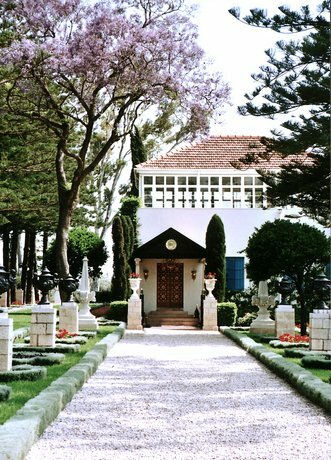 The entrance to the Shrine of Bahá'u'lláh, which is the holiest spot on earth for Bahá'ís, is the place to which they turn each day in prayer. Bahá’u’lláh’s eldest Son, Abbás – Who took the title of ‘Abdu’l-Bahá (meaning “Servant of Bahá”) after His Father’s death – was born in Tehran on the same night the Báb declared His mission in 1844. He shared His Father’s suffering and exiles from earliest childhood, and as he grew to manhood ‘Abdu’l-Bahá increasingly assumed responsibility for the care of Bahá’u’lláh’s family and for the small Bahá’í community. By the time they reached Acre ’Abdu’l-Bahá was His Father’s chief steward. He acted as a link between the community and the outside world. He also cared for the poor of Acre. Upon Bahá’u’lláh’s passing in 1892, the community learned that His Will and Testament named ’Abdu’l-Bahá as the Centre of the Covenant. As such, He was the Head of the Bahá’í community and the authorised and infallible interpreter of Bahá’u’lláh’s writings. While continuing to nurture the Bahá’í community in Persia, ’Abdu’l-Bahá sent teachers to the United States and began to correspond with the nascent Bahá’í community in the West. The first Western pilgrims arrived in Acre in 1898. After His release from house arrest in 1908 ‘Abdu'l-Bahá set out on a series of journeys. In 1911-1913, He travelled to Europe and America, where He addressed church congregations, peace societies, the members of trade unions, university faculties, journalists, government officials, and many public audiences, proclaiming Bahá'u'lláh's message of unity and social justice. In 1912, ‘Abdu’l-Bahá spent from April to December touring North America. He is shown here (at center) with Bahá’ís at Lincoln Park, Chicago, Illinois, USA, in 1912. He visited Britain twice. During His first visit, from 4 September to 3 October 1911, He spent time in London and Bristol and gave His first public address in the West at the City Temple Church in London. He returned to Britain at the end of 1912, arriving in Liverpool by steamer from New York on 13 December. During this second visit He attended a theatre performance for the first time in His life, gave an address in Manchester College, Oxford, travelled to Edinburgh and Bristol and gave a talk at the Woking mosque. He left London for Paris on 21 January 1913. ‘Abdu'l-Bahá passed away in 1921, having consolidated the foundations of the Bahá'í Faith and greatly expanded its reach.